SATURN joins Centric Medical’s product offering, which consists of TARSA-LINK®Stand-Alone Wedge Fixation System, TARSA-LINK Bunion Correction System, ROGUE®Hammertoe Correction System and MTP Plating System. The SATURN External Fixation System is designed to be constructed for each patient’s unique condition utilizing a variety of structural components and a set of simple instrumentation. The rings offer a generous amount of fixation points and each strut has rapid and gradual length adjustments to provide the physician greater flexibility and precision in constructing the frame. Centric Medical, a division of Life Spine®, Inc., which focuses on developing surgical implants for the treatment of lower distal extremity pathology, announced today That the U.S. Food and Drug Administration (FDA) has given 510(k) marketing clearance to the SATURN External Fixation System which consists of rings, struts, threaded rods, pins, wires and connectors intended to be used as a means to stabilize the foot, ankle and long bone segments. The external fixation system is the tenth 510(K) clearance for Life Spine in the last year and can be utilized for fusions, fractures, deformity reconstructions, tumors and Charcot Reconstructions. HUNTLEY, Ill.--(BUSINESS WIRE)--Centric Medical, the Foot & Ankle division of Life Spine, Inc., which focuses on developing surgical implants for the treatment of distal extremity pathology announced today the release of the ROGUE+ Hammertoe Correction System. This sterile-packed innovative system adds to the original implant design also available, while providing internal fixation via a dual threaded construct which is inserted between the proximal and middle phalanges so that the opposing threads fixate within the phalangeal canals of the toe to compress the proximal interphalangeal (PIP) joint. “Centric Medical’s Rogue+ Hammertoe Correction System implant is a well-designed, patient focused, surgeon friendly device that allows for safe and predictable treatment of patients' forefoot problems,” said Gregory G. Caronis, M.D. of Libertyville, Illinois. The sterile-packed ROGUE+ Hammertoe Correction implant is designed to have less implant extruding into the PIP Joint when reducing the joint, which allows for easier reduction of the joint and less bone removal, maintaining more of the original toe length. It offers benefits of strength, compression, internal bone fixation and simplicity. With streamlined instrumentation to reduce OR time, along with an improved technique, the implant can be consistently placed across the PIP Joint to optimize bone purchase in the proximal and middle phalanx. HUNTLEY, Ill.--(BUSINESS WIRE)--Centric Medical, a division of Life Spine, Inc., which focuses on developing surgical implants for the treatment of distal extremity pathology announced today the FDA 510(k) clearance of the new Foot and Ankle Plating System. This clearance offers multiple surgical solutions by Centric Medical, to be used in Foot & Ankle reconstruction procedures. The Centric Medical Foot and Ankle Plating System is comprised of a variety of plates and screws intended to stabilize and fixate bone for a myriad of procedures. The low-profile plates and self-drilling and self-tapping screws were designed to minimize soft tissue disruption and irritation. They are offered in non-sterile, single use implantable components and are provided in a multitude of sizes and shapes which include plates specifically designed for metatarsal phalangeal fusions, lapidus fusions, midfoot fusions and calcaneal slide osteotomies. Centric Medical, a division of Life Spine, Inc., which focuses on developing surgical implants for the treatment of distal extremity pathology, announced today announced today that the U.S. Food and Drug Administration (FDA) has given 510(k) marketing clearance to the Cannulated Screw Internal Fixation System. This clearance further expands the offering of Cannulated Screws for Centric Medical, to be used in Foot & Ankle reconstruction procedures. "I am excited to add another cannulated screw option to our rapidly growing foot and ankle portfolio. This addition has allowed for a more robust offering for distal extremity procedures including reconstruction, joint fusion, osteotomies, fracture repair, arthrodesis and fracture fixation," said Mariusz Knap, Vice President of Marketing and Business Development for Life Spine. "The system is extremely easy to use, low profile and offers partially and fully threaded options. I am incredibly proud that Centric Medical saw five 510K clearances in 2017 and I think a full cannulated screw selection is an integral step to a complete foot and ankle portfolio." The Cannulated Screw Internal Fixation System is a streamlined multi-component system comprised of titanium alloy, with a wide variety of diameters and lengths. The new options, which are specifically indicated for the forefoot, come in 2.0, 2.5, and 3.0mm diameters with headed and headless designs. This system complements the previously FDA cleared range of 3.5-7.5mm diameters indicated for the midfoot and hindfoot which also offer designs with and without a head. Centric Medical, a division of Life Spine®, Inc., which focuses on developing surgical implants for the treatment of lower distal extremity pathology, announced today record revenue growth of their TARSA-LINK™ Stand-Alone Wedge Fixation System and ROGUE™ Hammertoe Correction System within their Foot & Ankle division, plus OSTEO-LINK® 100% Demineralized Bone Matrix and MARROW CELLUTION™ Bone Marrow Harvesting System within their Biologics division. Centric Medical, a division of Life Spine, Inc., which focuses on developing surgical implants for the treatment of distal extremity pathology, announced today that the U.S. Food and Drug Administration (FDA) has given 510(k) marketing clearance to the Metatarsal Hemi Implant System. The Metatarsal Hemi Implant for the metatarsophalangeal joint is intended for use in the treatment of patients with degenerative and post-traumatic arthritis in the metatarsal joint in the presence of good bone stock along with the following clinical conditions: hallux valgus or hallux rigidus, and an unstable or painful metatarsal/phalangeal (MTP) joint. The device is a single use implant intended to be used with bone cement or without bone cement. The Metatarsal Hemi Implant has a round head and tapered stem that is fixated to the first metatarsal. The round head resurfaces the metatarsal head at the metatarsophalangeal joint. The Metatarsal Hemi Implant utilizes a cobalt chrome and highly polished “mirror” finish head that minimizes friction between articulating surfaces, reducing cartilage wear. The implant comes in 5 sizes to accommodate varying patient anatomies, and has an anti-rotational stem to increase implant stability. The Metatarsal Hemi Imlant joins a growing portfolio which includes innovative osteobiologic products, as well as the groundbreaking TARSA-LINK™ Stand-Alone Wedge Fixation System, the market’s first stand-alone osteotomy wedge with built-in fixation. The system was released to the market in September 2016. HUNTLEY, Ill.--Centric Medical, a division of Life Spine, Inc., which focuses on developing surgical implants for the treatment of distal extremity pathology, announced today that the U.S. Food and Drug Administration (FDA) has given 510(k) clearance to the TARSA-LINK Bunion Correction System. The TARSA-LINK Bunion System is the first stand-alone opening base wedge with built-in fixation on the market. It is utilized for internal bone fixation for bunionectomies, opening base wedge osteotomies, bone fractures, fusions, or trauma. The TARSA-LINK Bunion System is the sixth 510(k) clearance in a year, joining Centric Medical’s portfolio which includes innovative osteobiologic products. It is one of seventeen patents pending in Centric’s portfolio including the clearance last week of the state-of-the-art Hammertoe Correction System. The TARSA-LINK Bunion System is scheduled for release in the fourth quarter this year. HUNTLEY, Ill.--Centric Medical, a division of Life Spine, Inc., which focuses on developing surgical implants for the treatment of distal extremity pathology, announced today that the U.S. Food and Drug Administration (FDA) has given 510(k) marketing clearance to the Hammertoe Correction System. The Hammertoe Correction System offers a dual threaded design and is inserted between the proximal and middle phalanges, so that the opposing threads fixate on the phalangeal canal of the toe and compress the joint. The current standard of care for hammertoe correction is to treat patients with wire pins (also known as “K-wires”). Many patients complain about the inconveniences that come with the wire pins, which are exposed out the end of the phalange(s) for multiple weeks. These wire pins can break and dislodge. In addition, a follow up surgery is required to remove the pins. Dr. Kyle Pearson of Rezin Orthopedics and Sports Medicine in Morris, IL, said, “Due to the advanced technology in this Hammertoe Correction System, the implant provides maintained correction through stability and compression at the PIPJ, and avoids the complications associated with K-wires.” This newest innovation allows the implant to remain within the bone, eliminating the need for the follow up surgery to remove the pin(s), and permanently correcting the pain and deformity of hammertoes. The Hammertoe Correction System is designed around one of seventeen patents pending in the Centric portfolio, and represents the fifth 510(k) clearance for Centric Medical in the past twelve months. The system joins a growing portfolio which includes innovative osteobiologic products, as well as the groundbreaking TARSA-LINK™ Stand-Alone Wedge Fixation System, the market’s first stand-alone osteotomy wedge with built-in fixation. The system will be released to the market in September 2016. "Due to the advanced technology in this Hammertoe Correction System, the implant provides maintained correction through stability and compression at the PIPJ, and avoids the complications associated with K-wires"
HUNTLEY, Ill.--Centric Medical, a division of Life Spine, Inc., which focuses on developing surgical implants for the treatment of distal extremity pathology, announced today that the U.S. Food and Drug Administration (FDA) has given 510(k) marketing clearance to the Subtalar Arthroereisis Implant System for treating hyperpronation of the foot and stabilization of the subtalar joint. The Subtalar Arthroereisis Implant System is a one-piece titanium implant designed to facilitate correction of pathologic flatfoot deformities by blocking forward, downward and medial displacement of the talus, thus allowing normal articulation of the subtalar joint while deterring excessive pronation. The innovation of the system rests in its gradually softened threads which aid in minimizing edge effects that may lead to pain while resisting migration, in addition to being fully cannulated to guide accurate insertion. The Subtalar Arthroereisis is the fourth 510(k) clearance in a year for Centric Medical and its suite of innovative osteobiologic products. It is one of seventeen patents pending in Centric’s portfolio including the groundbreaking TARSA-LINK™ Stand-Alone Wedge Fixation System, the first stand-alone Osteotomy wedge with built-in fixation on the market, which was released earlier this year. The Subtalar Arthroereisis Implant System is scheduled for limited release at the end of 2016 with full product release expected in the first quarter of 2017. TARSA-LINK is the first stand-alone Osteotomy wedge with built-in fixation on the market. It is primarily utilized for procedures including Evans Osteotomy, Cottons Osteotomy, Bunionectomies, fractures, and fusions. This groundbreaking wedge boasts reduced procedure time owing to the incorporated screws, thereby eliminating the need for an additional plate. Because the implant is made from a PEEK material, it provides greater stability than an allograft, while eliminating the risk of donor graft rejection. 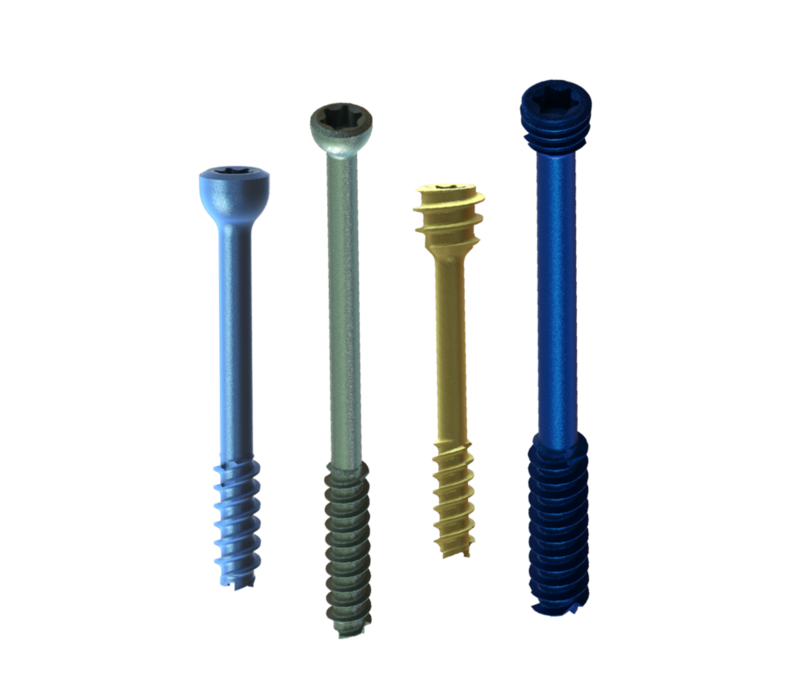 The implant’s design facilitates the use of screws that can be placed through the wedge, locking in the correction while providing a stable environment for fusion.